Seasonal times Closed: Dec 25 & 26; Jan 1 & 2. 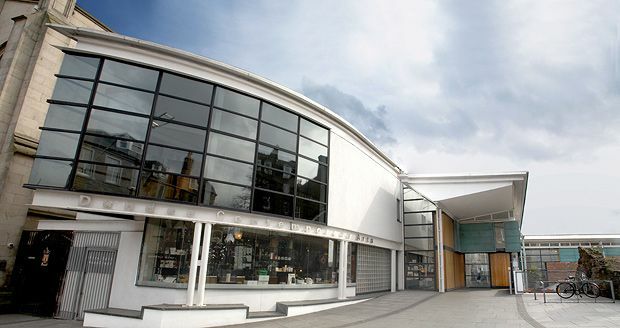 Dundee Contemporary Arts is a major arts hub in Dundee city centre. Located in a much-converted garage, it opened in 1999 and offers multiple facilities: an art gallery with a thriving visual arts programme; a two-screen cinema specialising in classic and arthouse cinema (but not averse to the odd blockbuster); a print studio and a visual research centre run in cooperation with the University of Dundee. The Jute Cafe Bar offers lunch, evening and kids' menus.